The CDH-152 model has been discontinued. Please see the CDH221 and CDH222 as possible alternatives or contact our Flow Engineering Department. 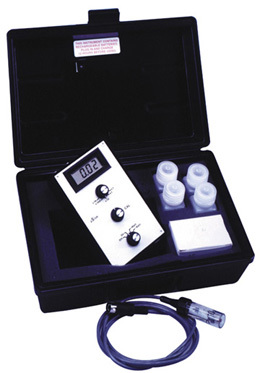 The CDH-152 provides accurate readings over the full 0.2 to 20,000 µS/cm Range. The CDH-152 displays on a large, easy to read 3 1 /2 digit LCD display. Units have precision calibration capabilities, automatic temperature compensation and replaceable probes. Construction: Polycarbonate connected to 1.8m (6 ft) cable with urethane strain relief.